Did you know that Indiana has over 4.5 million forested acres? That’s a lot of trees! In this week’s post, we’d like to share a few facts about the history of the Hoosier landscape and the native Indiana trees that accompany it. Circa 16,000 years ago, glaciers covered Indiana. And for multiple hundreds of years, the landscape didn’t change much. However, while moving outward and then retreating back, the glaciers ended up eventually making enough of an impact to carve out land. Oddly enough, no glacier ever spread over Indiana past the central region of the state. Glaciers not only shaped the landscape of Indiana, but they helped plant and animal evolution and adaptation that still exists today. Without glaciers, our state would look quite different. In 1931, the Tulip tree was named Indiana’s state tree. Indiana trees and plants have a wide range of temperatures to contend with. Indiana’s zones range from 5b in the Northern part of the State, to 7a in the Southern part of the State. We have Indiana trees for sale. 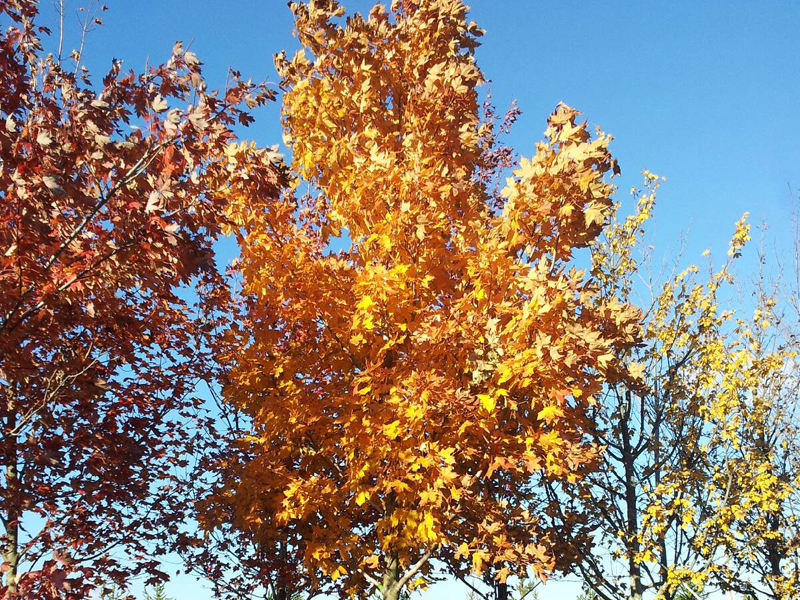 From Sugar Maples, to Red Oaks, to Flowering Dogwood trees, we’ve got what you need. So stop by the farm and support your Hoosier heritage today. We hope you enjoyed this post and if you have any pictures, or information about trees you’d like to submit, send them our way!